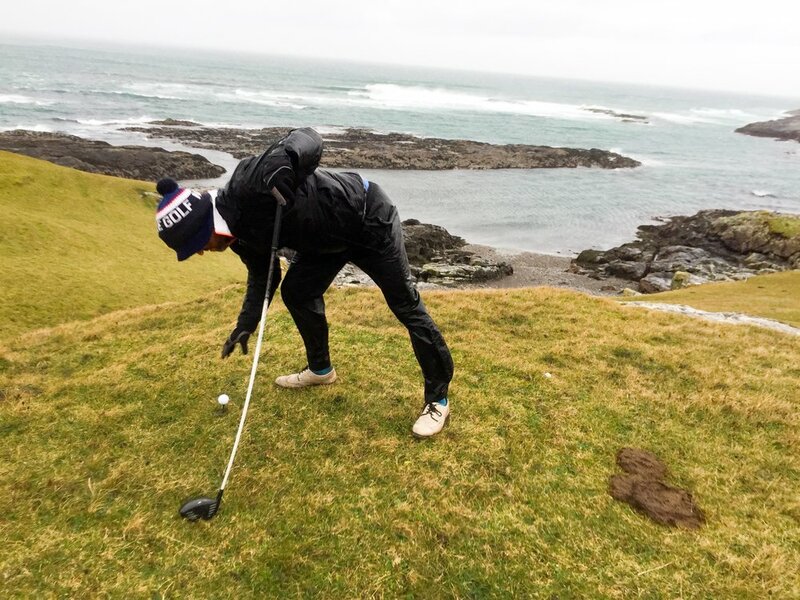 The Bravo Whisky Golf team (plus Paul’s wife and youngest) have been on an adventure to discover the fabled Askernish Golf Club for ourselves and experience the thrill of a beach landing! 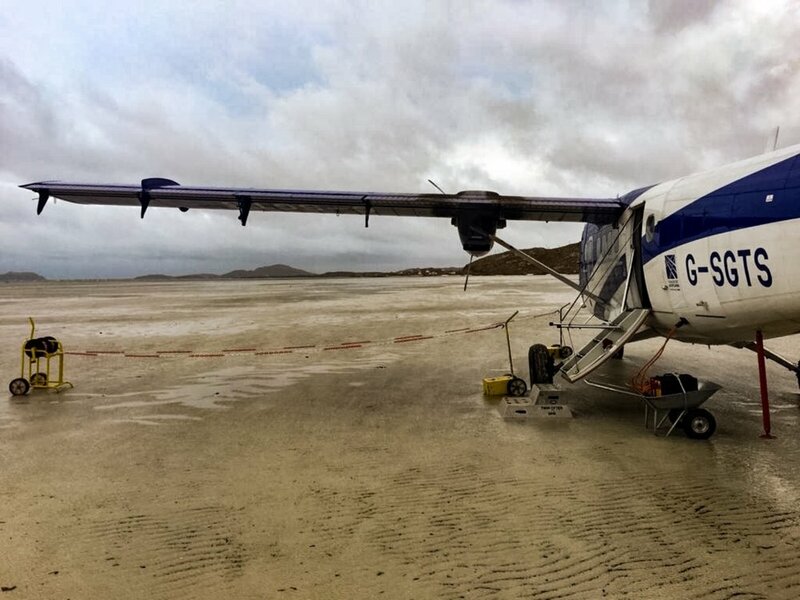 (Yes, they really do land planes on the sand). Scroll down for our trip report…..
November in Scotland is when the days really start to draw in, the trees shed the last of their leaves and the weather properly reminds us of who’s boss. What better time to fly off to the Outer Hebrides, to one of the world’s most unique airports and a rediscovered Old Tom Morris links? 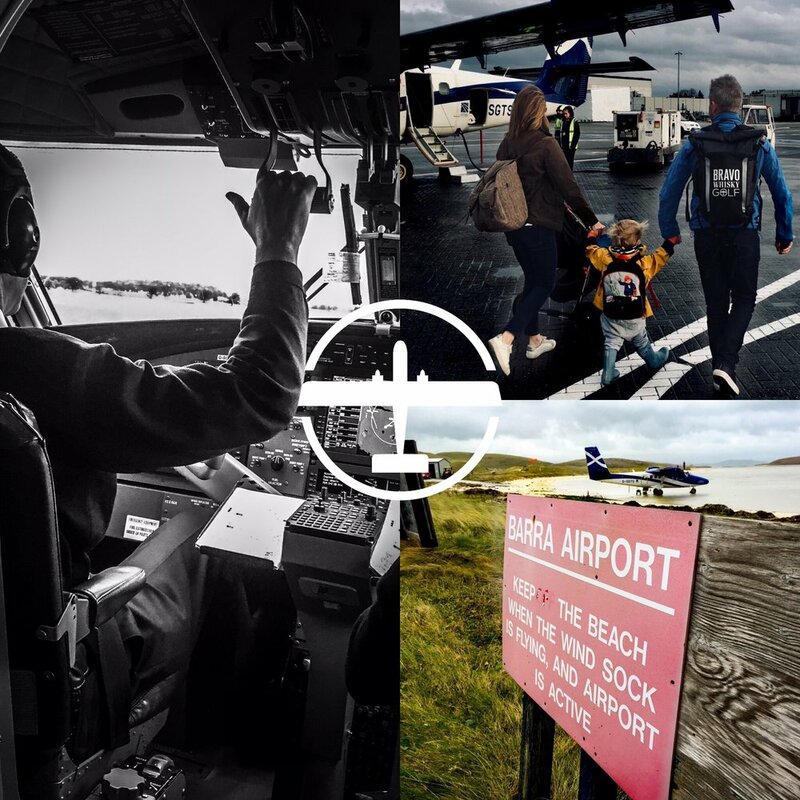 Earlier this month saw us take the short flight 120 miles northwest of Glasgow to the beautiful island of Barra. Barra lies at the southern edge of the Outer Hebrides and is a mere 8 miles x 5 miles at its widest point and was the ancestral stronghold of the clan MacNeil. 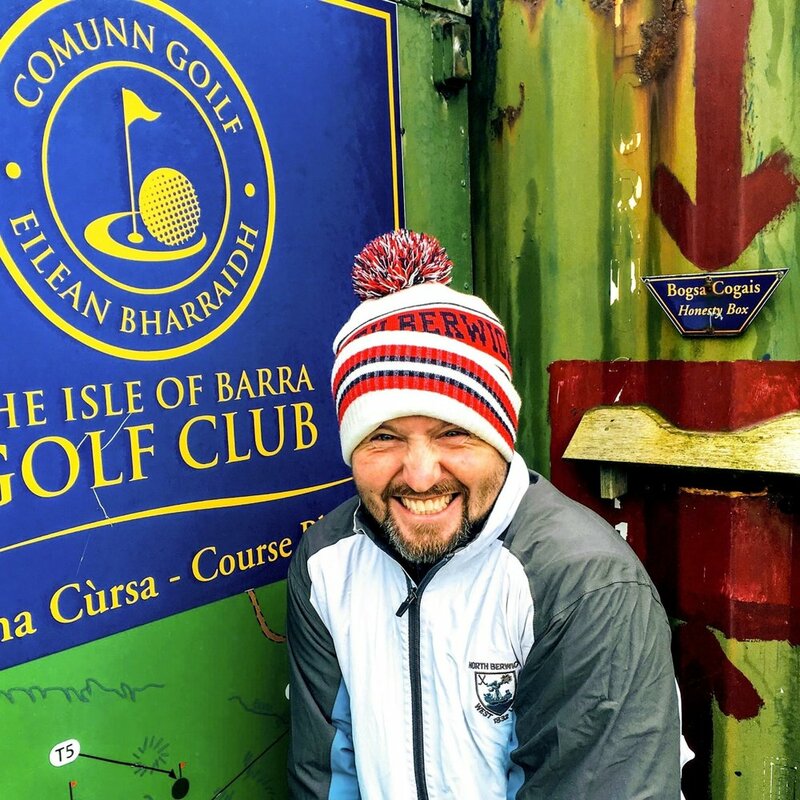 Nowhere on Barra is terribly far from anywhere else, so it wasn’t long before we had to leave the warmth and calm of Dan’s cab to get rugged-up and head out to explore Barra Golf Club. The nine hole course is the most westerly course in the UK and runs over the shoulder of a rocky outcrop on the west coast of Barra near Cleat. The course has spectacular views over, not one but three different sandy coves all lapped/battered by the clear blue water of the Atlantic Ocean. At 2396 yards it is not the longest of courses but it does present more than enough of a challenge, with holes to amuse, frustrate and admire in equal measure and if your golf isn’t going that well there is always that fantastic view to enjoy along the way. This charming wee course is all the more endearing when you consider that it only has a handful of members and very modest resources to maintain the place. Sure, it is a little rough around the edges but it is a small wonder that there is any course here at all. Barra lies 57°north of the equator, as far from the halfway line as Alaska. You may not be passing-by all that often but if you are and have the time (and the £10 green fee! ), we thoroughly recommend taking the time to play it and show some support for this scenic golfing outpost. A word of caution, watch where you step! Cattle graze on the course and leave hazards you won’t find in any Strokesaver. Very tricky conditions at the turn! Check out Part 2 later this week where you can find out how we got on the next day in South Uist, our first encounter with the Old Tom Morris course of Askernish!